Hot off the press! Coral community changes in the Great Barrier Reef since its inception. Please join me in congratulating of GRG collaborator Dr Marc Humblet on the publication of the new paper in the journal PALAEO3. Humblet, M., Webster, J.M., 2017. Coral community changes in the Great Barrier Reef in response to major environmental changes over glacial-interglacial timescales. Palaeogeography, Palaeoclimatology, Palaeoecology 472, 216-235. This paper, is particularly timely given the massive bleaching event in the northern GBR, as it documents how the GBR has responded to major environmental changes over longer glacial-interglacial (100 kyrs) and millennial times scales. 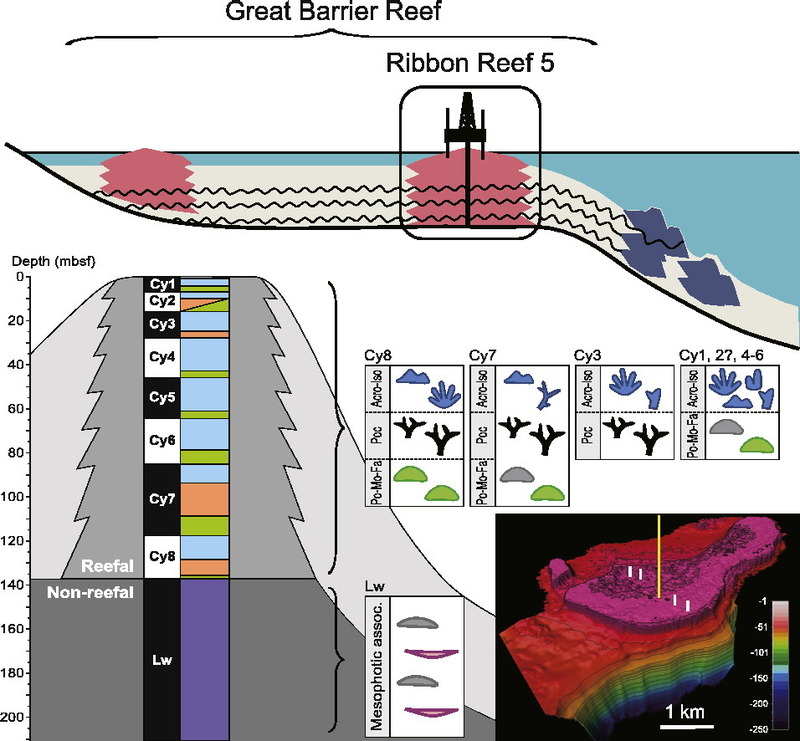 We present a quantitative analysis of the nature and distribution of Pleistocene coral communities and define recurrent coral associations and compare the eight reef-building cycles recognized throughout the evolution of the GBR. I think the paper has some really interesting things to say about the resilience of the GBR in response to natural and repeated environmental changes. Check it out. ← Cracking open coral treasures of the past!